InStep jogging strollers are among the many brands of jogging strollers and if it has a front swivel wheel, it can also be classified as an all terrain stroller. Jogger strollers are designed for active parents who love power walking and jogging, and these type of strollers are made to run smoothly on rough terrain. The Safari is available as two models: the InStep Safari Swivel Wheel Single, and the InStep Grand Safari Swivel Wheel stroller. Both have the same great features, but the Grand Safari offers more features than the Safari Single. Lets explore more of the features and how this stroller can help you, and then we’ll go into what Safari owners have to say about their stroller. 4 What about the fold? 5 Comfort for you and for baby. 6 What kind of weather protection is provided? 8 How about the safety? 9 What kind of storage can I expect? 10 Is it car seat compatible? 13 Where can I buy this stroller? The InStep Safari stroller is super sturdy because of its steel frame, while heavier than aluminum frames, is highly durable and safe. Because of the steel frame, the Safari can accommodate an astounding 75 pound weight limit so you can workout with your big kid and bring as much as the storage basket can possibly carry! The InStep Safari strollers are not only excellent jogger strollers, they can also be used on different types of terrains, making them as good as, if not better than, other all-terrain strollers. 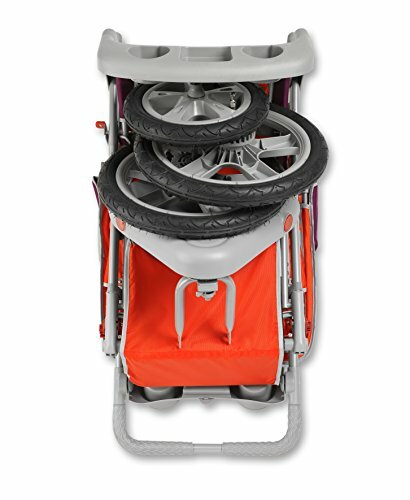 Pneumatic 12 inch front and 16 inch back tires with molded rims give smoother rides on rough terrains, and they make the InStep Safari stroller super easy to maneuver. In addition, the 12-inch front wheel locks straight for added control and stability over rough surfaces. The InStep Safari is excellent for active parents who enjoy taking long walks with their babies. For smoother rides on rougher terrains, parents should choose the Grand Safari, because it has an exposed spring suspension system that provides ultra-smooth rides for your precious cargo. The Safari also has a remote that allows parents to lock or unlock the front wheel by pulling a lever to release the lock and a pushing a button to straighten it again. Parents love this feature as it allows them to change from walking to running while pushing the stroller. 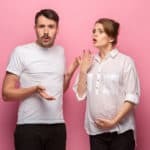 Some parents even enjoy shopping with their baby in the stroller because it is very easy to maneuver around tight corners and narrow aisles with the front swivel wheel that turns on a dime. The InStep Safari strollers fold compact and they fit easily into the car trunk, which is another great feature that makes them a favorite among active parents. Comfort for you and for baby. The InStep Safari strollers have rubberized handles for added comfort, and the non-slip grip allows steady and smooth pushing, keeping your baby safe during your jogging session. Many parents claim that the handles are of the perfect height, making pushing the stroller very convenient and easy. Each InStep Safari has a padded seat to keep your child comfortable during long walks. The InStep Grand Safari even has a faux lambskin seat cover so your baby is warm and cosy on cold days. The reclines to allow comfortable naps for your child. 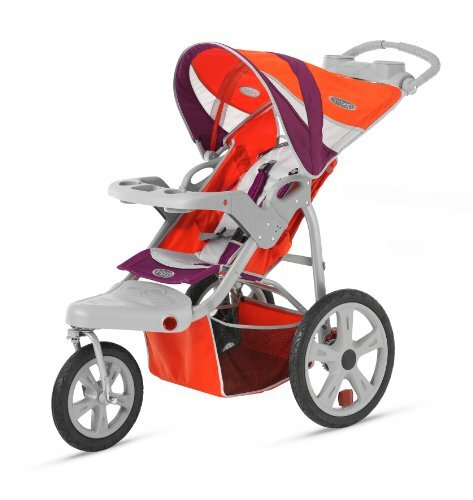 In addition, the InStep Grand Safari stroller has a built-in MP3 speaker that allows you and your baby to listen to your favorite music while on the go. It keeps your baby entertained during long runs. While your baby is dozing off, you can also play some soothing music to help him nap better. What kind of weather protection is provided? Your child is shaded from harsh sunlight and wind with the retractable sun canopy. Instep offers a mesh bug screen that keeps mosquitoes and other bugs away; there’s also a rain shield available for purchase as well to keep all the harsh elements at bay when you’re exploring the great outdoors. Folded: 22.8″L x 24½”W x 25″HWidth: 23″Open Length: 49″Handle height: 44″Tires: Front: 12″ Rear: 16″ PneumaticStroller Weight: 31½ lbs. Both the Safari and the Grand Safari have padded 5-point safety harnesses that keep your child safe and snug in the seat. In addition to rear brakes, the stroller is equipped with a safety tether to make sure you maintain contact with the stroller while jogging. What kind of storage can I expect? The InStep Safari comes with a large storage basket underneath the seat. You can store all your baby necessities in the roomy basket, such as baby diapers, bottles, sippy cup, snacks, and also baby toys. Every parent knows that it is important to have baby gears while traveling, and it is more important to keep the essentials safe in the storage basket under the seat, particularly while running or jogging. The strollers also have a child tray with two cup holders, which is another feature that parents love because most jogging strollers only have one cup holder or none at all. Store your belongings in your own molded parent tray with dual cup holders. You can bring your cell phone, keys, towel, snacks and water bottles in the parent tray so they’re within reach. Is it car seat compatible? InStep Safari strollers are compatible with major brands of infant car seats, such as Chicco, Graco and Baby Trend. This makes the InStep jogging stroller a convenient travel system. Please keep in mind that you should not jog with a car seat attached to your stroller. Wait until your baby is at least 6-8 months old and can sit up independently. Parents give the InStep Safari and the Grand Safari high praise for overall sturdiness and affordability. Parents, time and again, mention how well these InStep jogging strollers perform and many were surprised at the quality given the low price. At 31 pounds, this is no lightweight stroller, but parents recognize that most joggers are a bit bulky. Moms have mentioned that this stroller isn’t for parents who need a compact size. However it works well for jogging and off-roading on natural terrain. Many parents talk about the sun canopy and how well it shades their child. They also remark that their child is quite comfortable and secure in the padded seat. Several moms mention their use of car seats such as their Graco SnugRide or Chicco Keyfit 30, both of which fit perfectly. Parents also love the swivel wheel and the fantastic maneuverability on their InStep Safari. There are not that many complaints about this stroller, but the disadvantages are consistent. The first is that a few parents had problems with their tires deflating. A couple of complaints were that the storage basket wasn’t big enough and that the cup holders, both child’s and parent’s could be deeper. I usually suggest buying from Amazon because the prices are always much better than other retailers comparitively!